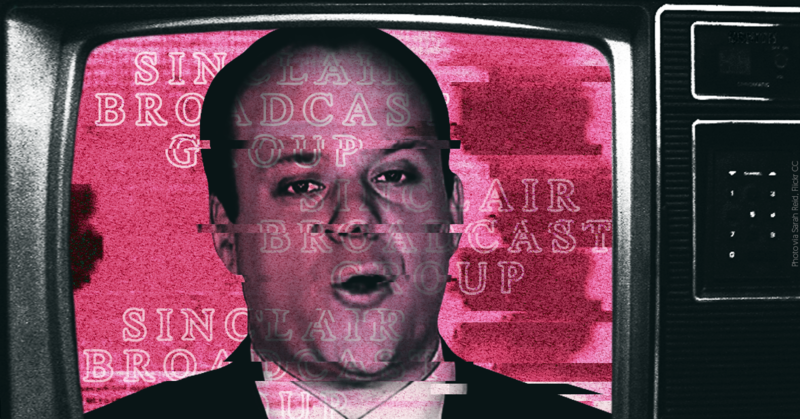 Sinclair Broadcast Group began 2018 hoping to finalize a massive deal that would cement its place as the country’s largest owner and operator of local TV stations, after having more or less weathered a few bad news cycles about its obvious conservative bent. But the local TV news giant is ending the year with arguably higher negative name recognition than ever before and with its proposed acquisition of 42 more stations rejected. In fact, one of its most formidable competitors is now aiming to knock Sinclair out of that top spot. And Sinclair has only itself to blame. One thing about Sinclair’s immediate future seems particularly certain, though: It’s going to keep up its harmful tactics. There will be more offensive “must-run” segments, and probably more brain-washy promotions in the spring, and definitely more blatant agenda-pushing with the Trump administration. The company has shown little desire to change behavior or admit when it’s done something morally objectionable so far. Why would it start now?